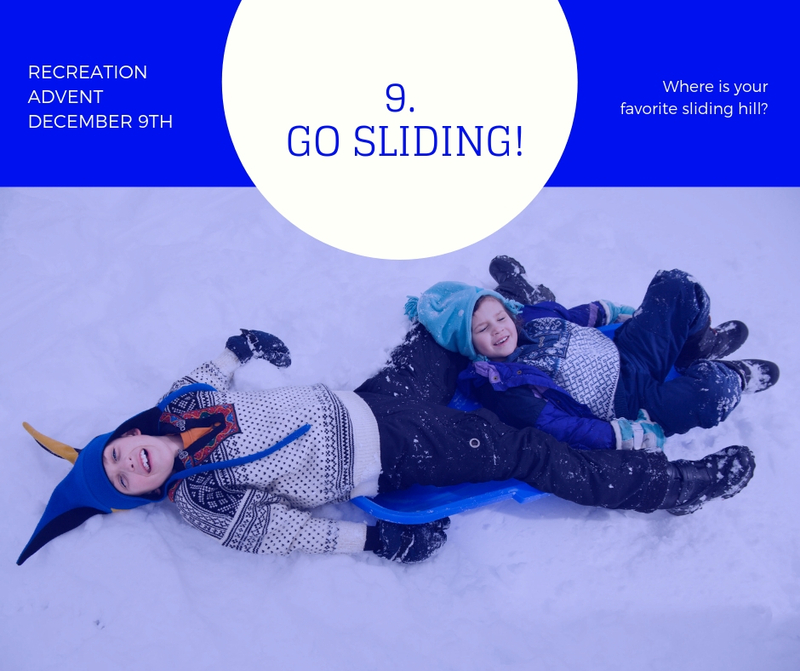 Take advantage of the snow and get out on your favorite sliding hill! Besides being a lot of fun, it is a great way to improve physical and mental health for all ages! 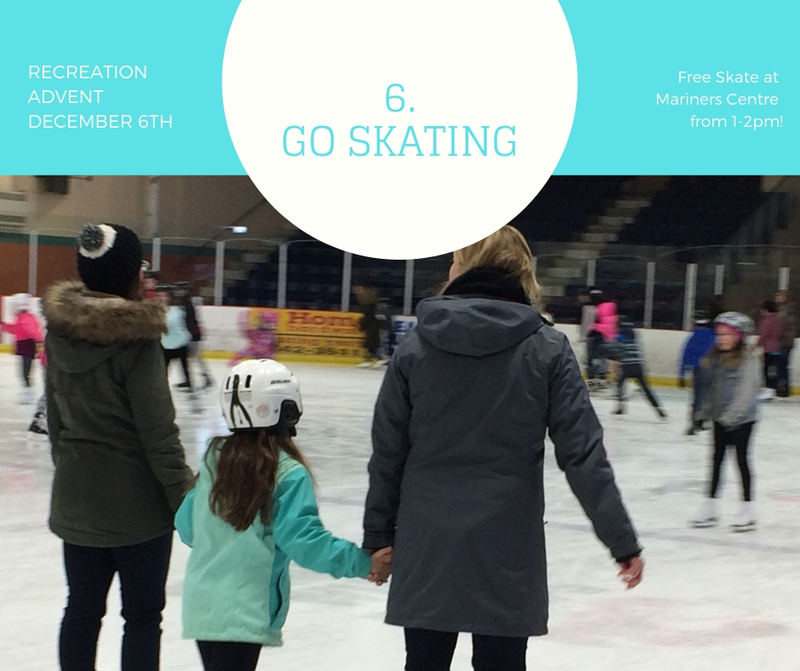 A FREE community skate will be hosted by Yarmouth Recreation & Yarmouth Mariners Centre on Thursday, December 6th from 1-2pm. Don’t forget to comment and post pictures for chances to win a Family Fun Prize Pack valued at $100! 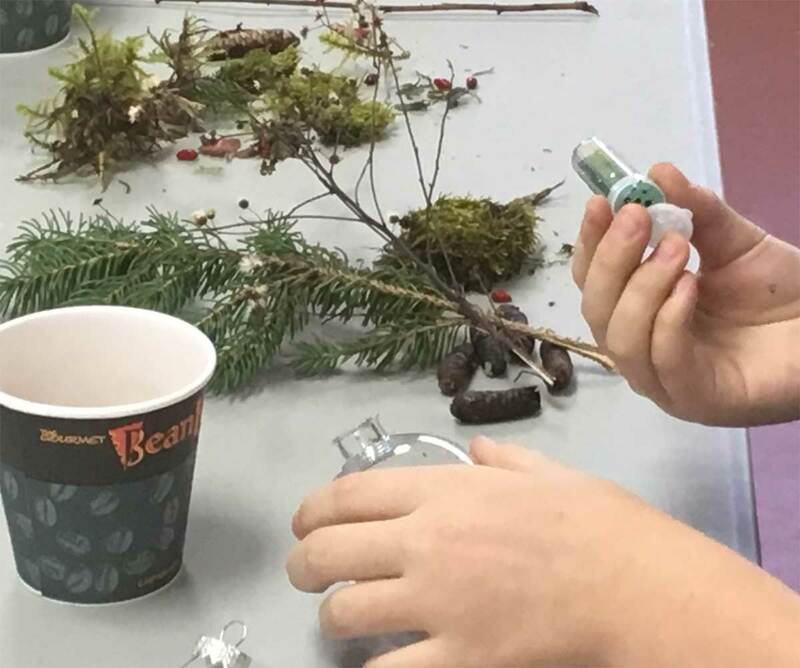 Nature ornaments! 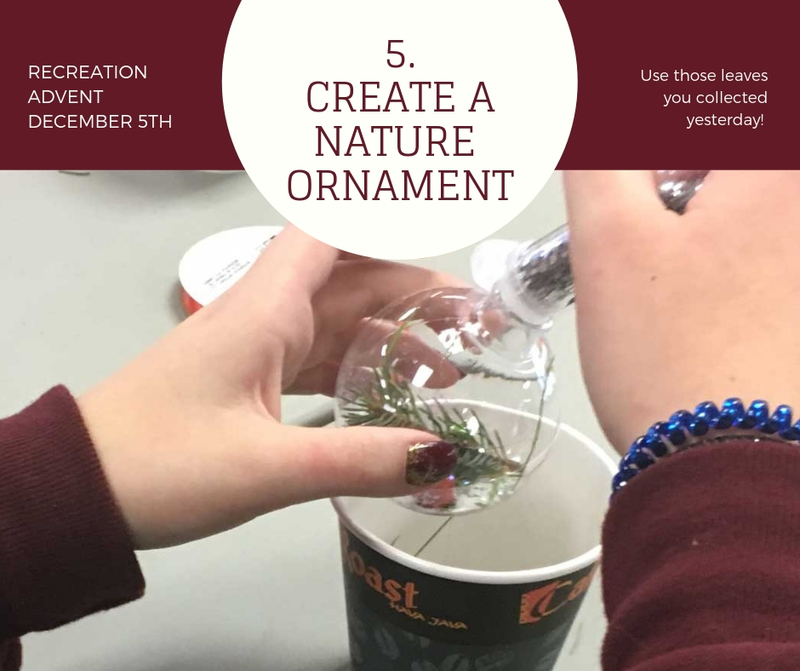 For this activity you need clear ornament balls, then you fill them with things from outside! Make one of these or use your own idea and share it in the comments on this post or any of our social media channels @YarmouthRec! 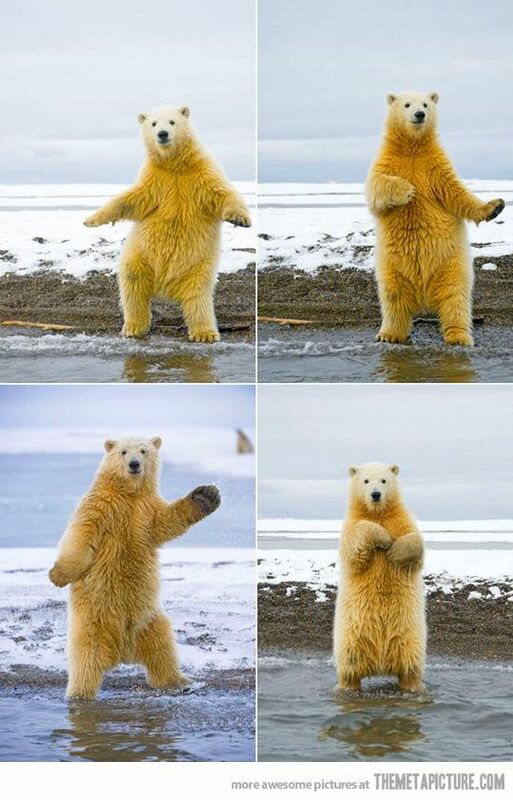 We love pictures and it means more entries in the draw for a family fun prize pack! 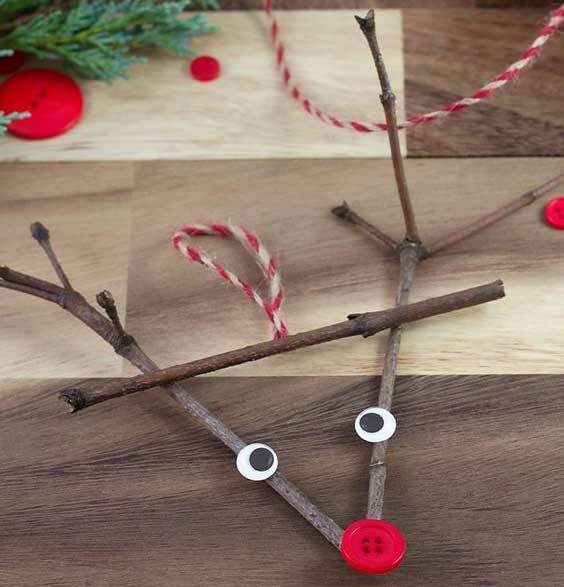 For these all you need is sticks, paint and whatever else you and your kids can think of! Nature ornaments! 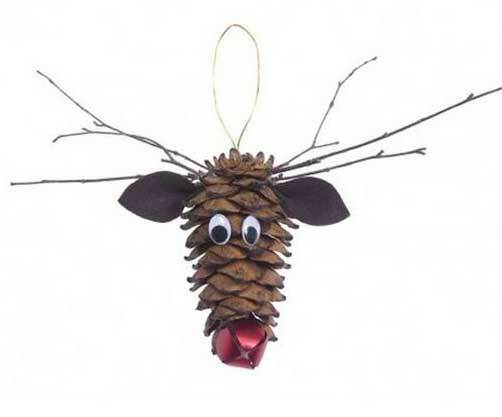 For this one you need a pinecone, googly eyes, a bell and small sticks! Being outside feels good. 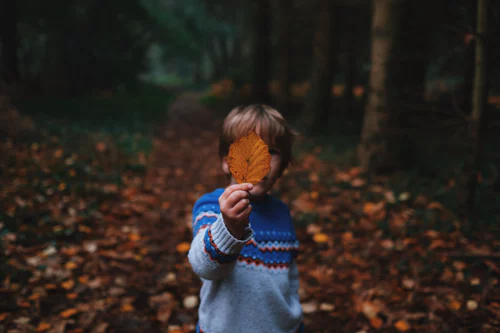 Children are free to explore, move about, and make noise—all delightful forms of self-expression that are often restricted indoors. Being in nature enables children to run, jump, hop, skip, climb, roll, and shout, which reduces tension, anxiety, and restlessness. Leaf scavenger hunt! For this all you need to do is go outside and look for as many different types of leaves you can find! You can take as little or as much time as you want and it can be done pretty much anywhere! 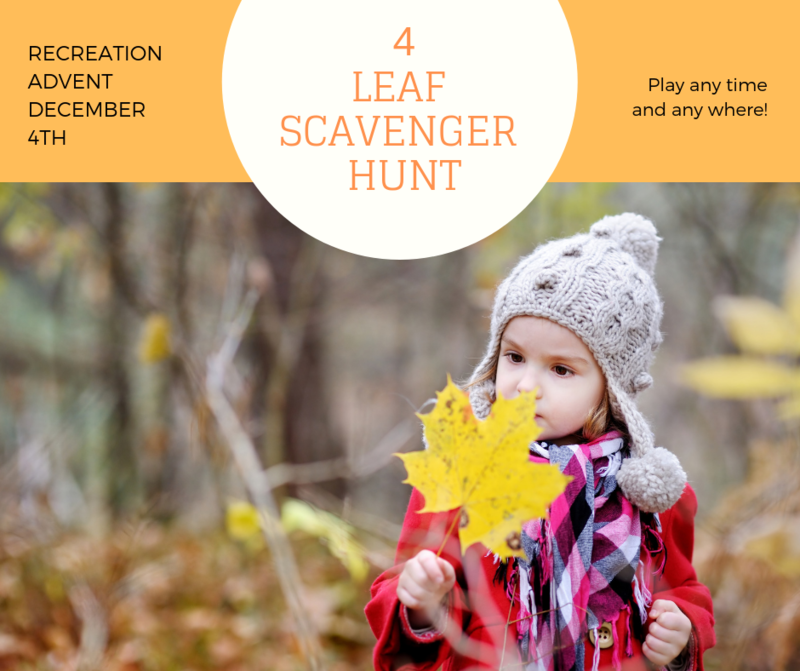 Check out leaf scavenger hunt ideas for younger and older children our Pinterest board or share your own through our social media channels! 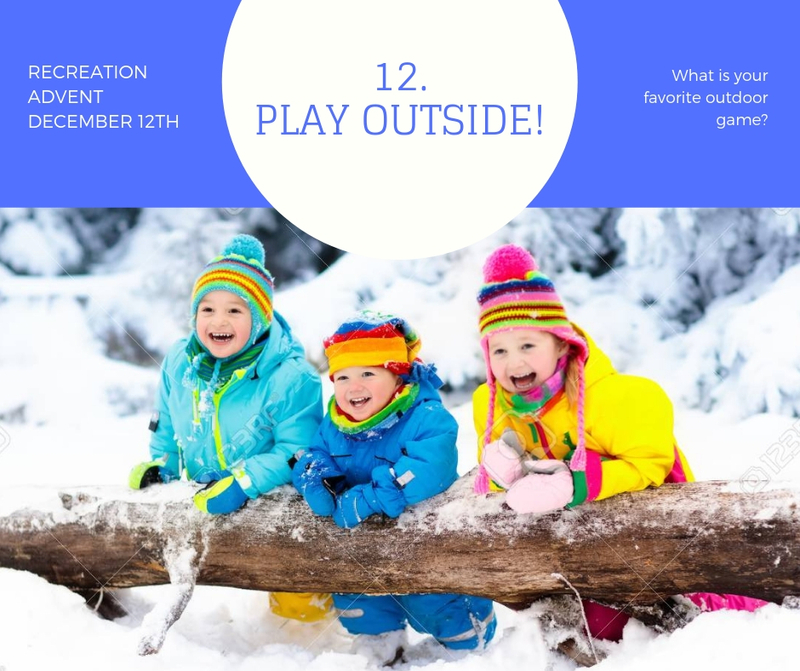 Each day from December 1 – 24, Yarmouth Recreation will share an activity through our website,Facebook page, Instagram, Twitter, and Pinterest. Join in on your favorite channel. 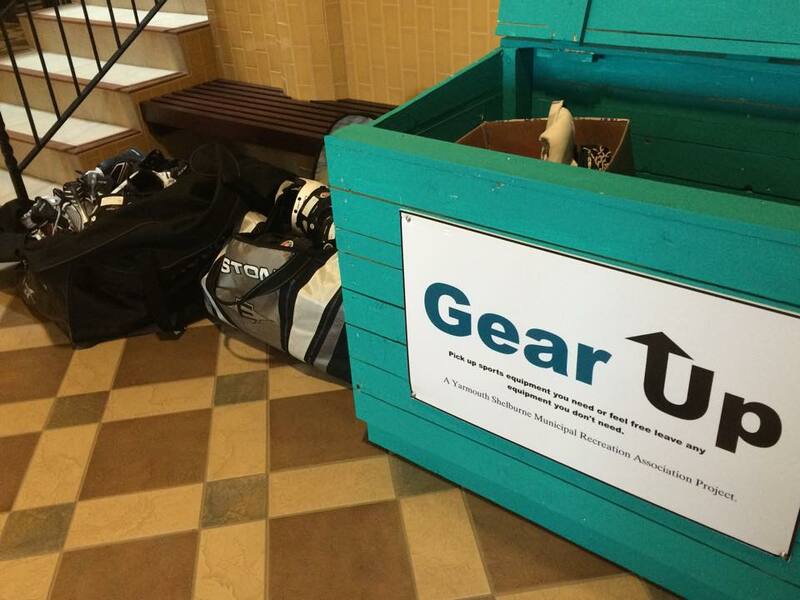 For every comment about the activity, we will put your name in a draw for a family fun prize pack valued at $100. If you share an image of you and your family doing an activity, you will get 5 prize entries that day! Enter as often as you wish and for as many days as you can! 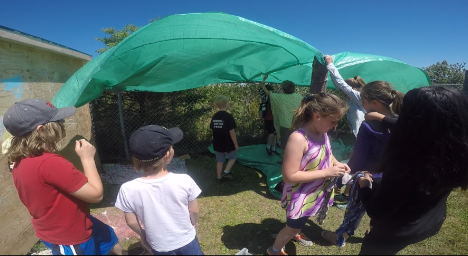 Build a fort outside! For this all you need to do is go find brush, branches. Tarps and even old blankets! Ropes & clothespin. 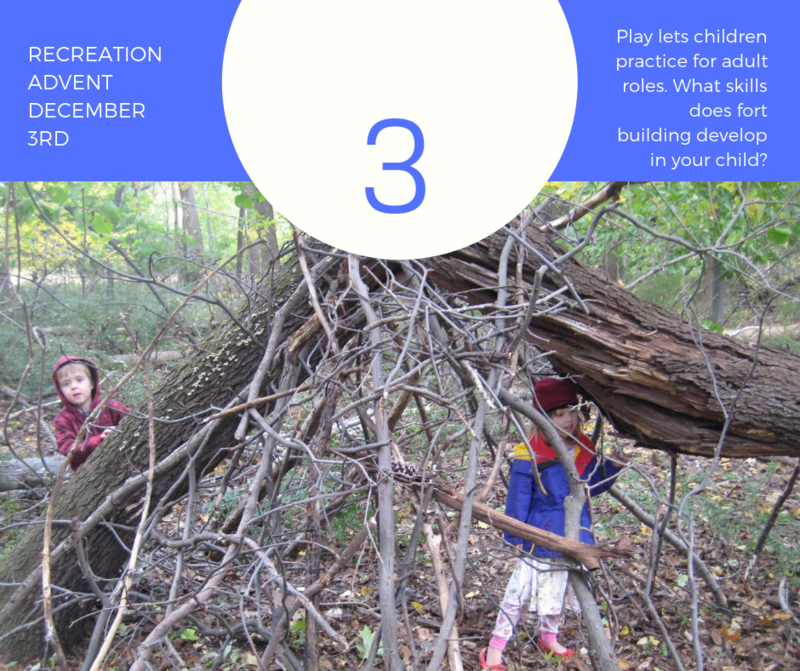 Allow kids to build on their own — without tearing apart the house, of course. It’s exciting for parents to watch their kids playing and creating their own narratives. In today’s world, things are very structured and curated for kids. But building and talking about forts brings adults back to some of the best times of their childhood.